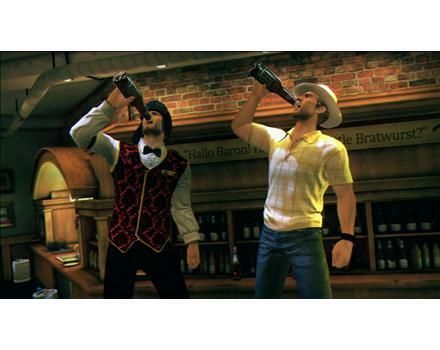 Let me start of by saying that I was a big fan of Dead Rising. The prospect of being able to kill thousands of zombies with almost anything in the game outweighed any annoyances the game came with. 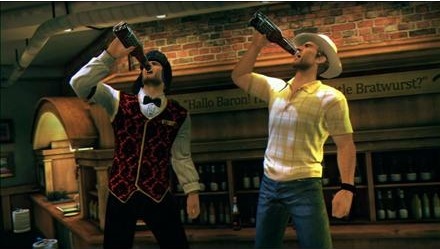 So naturally I’ve had Dead Rising 2 on my radar for quite some time. 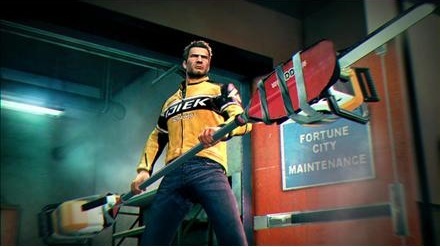 By now, most people are aware of Dead Rising’s main gameplay mechanic. You are under time constraints constantly and you are all but guaranteed to not be able to do everything on your initial play-through. Much like the first game you will have to level up your character, ex-Motocross Champ Chuck Green, and restart the game with higher stats. This way you can carry more objects, move faster, and have more moves, strength and health. Some people find this obstacle to be too intrusive, as the game otherwise resembles an open world style. However, I find this to be a boon of sorts since you are forced to make hard decisions at points once you realize there isn’t enough time to complete every mission before their individual timers run out. There are some nice improvements over the original, like multiple save slots and indicators for when followers are close enough to follow you through a door to the next area. The Psychopaths are much more twisted than in the original. And I welcome the big change from the camera mechanic of the original game’s Frank West, to Chuck Green’s much more entertaining weapon combinations. So now you can pick up a bag of gems and toss them at a zombie or you can toss those gems into a leaf blower and blast them out like a shotgun! Another big change from the first is the inclusion of both campaign co-op and competitive multiplayer. With co-op, both players control their own version of Chuck. In the competitive side of things, players control a generic character against 3 other players committing some of the most ridiculous atrocities against zombies ever conceived. “Zomboni” for instance, has players run down zombies with a vehicle that grinds them up into liquid which you spray into the mouths of giant clown heads. Who comes up with this stuff!? Playing these games online allows you to earn money that can be transferred to a save file you have for the campaign. Just make sure you’re playing ranked games or you won’t be able to keep your winnings. Also, the lobby system for multiplayer is about as bare bones as games get these days. You will be staring at the prep screen for quite a while every time you play. In the end I had tons of fun with both the single player game and competing online. I would recommend the game to anyone who likes zombie games and isn’t completely turned off by the timer.